PUNTA GORDA...NOT FOR RENT. 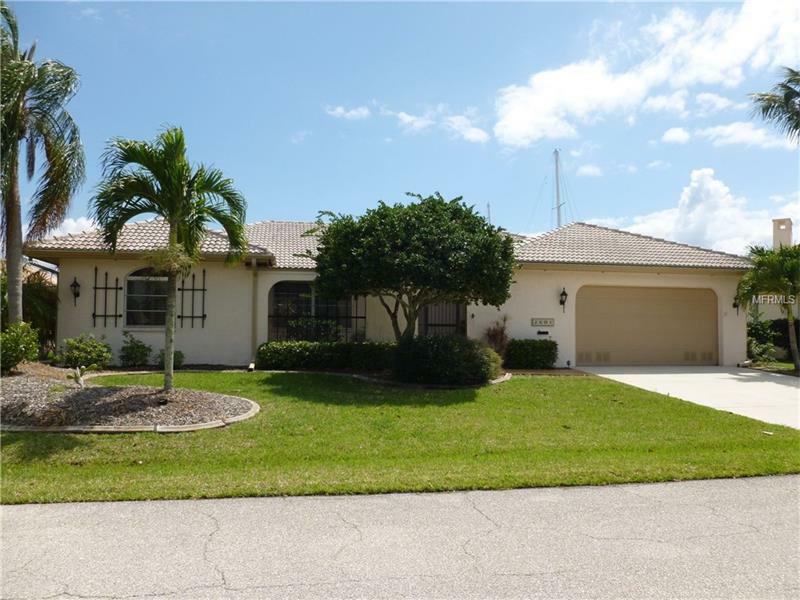 Everything you want and need in this beautiful Punta Gorda Isles neighborhood is right here. This home is friendly and inviting and you will never want to leave it. Turn key furnished with complete kitchen updates including new cabinets, new granite counter tops, new stainless appliances and new flooring. Kitchen also offers a new breakfast bar. This home has new flooring throughout with new carpet in the bedrooms and new ceramic tile in the living room, kitchen and hallways. Bring your sailboat (home has a concrete dock) and take it for a spin with a short distance out to Ponce Inlet then come back home and relax or entertain by the pool on your 60 foot pool deck. The master bath has one sink and a walk in shower AND an additional vanity and sink right outside the master bath. Master bedroom and 2nd bedroom have sliders out to the pool. The 3rd bedroom has french doors leading out to the front courtyard. Sliders in the living room pocket for maximum light and breezes. You will want to make this one your own!